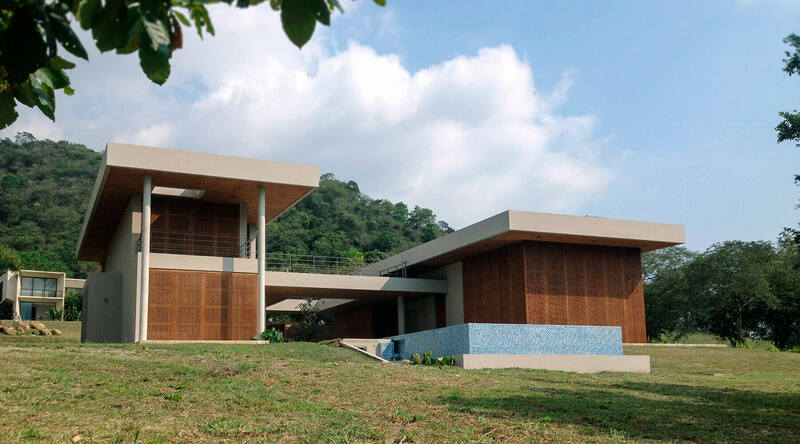 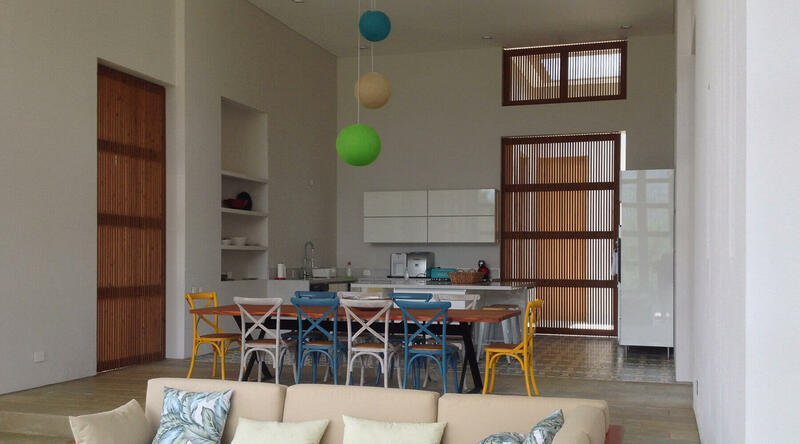 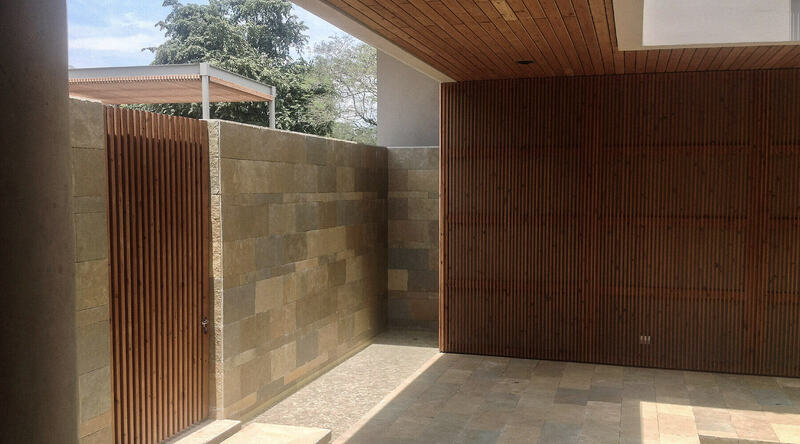 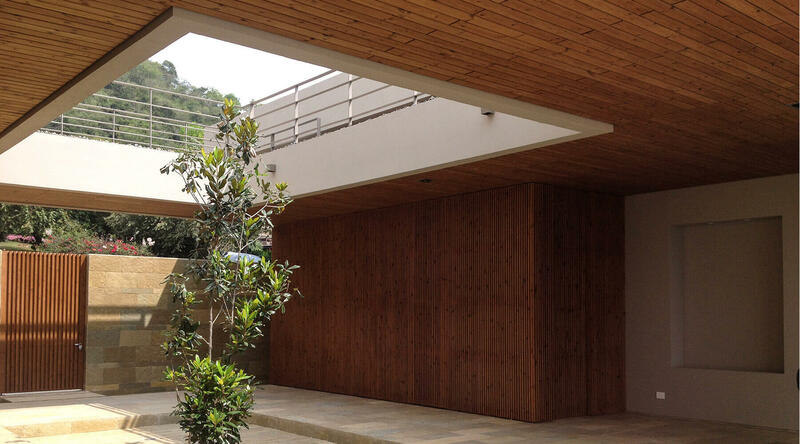 The modern residential house, located in Colombia, has a clean-cut Lunawood Thermowood facade and ceiling. 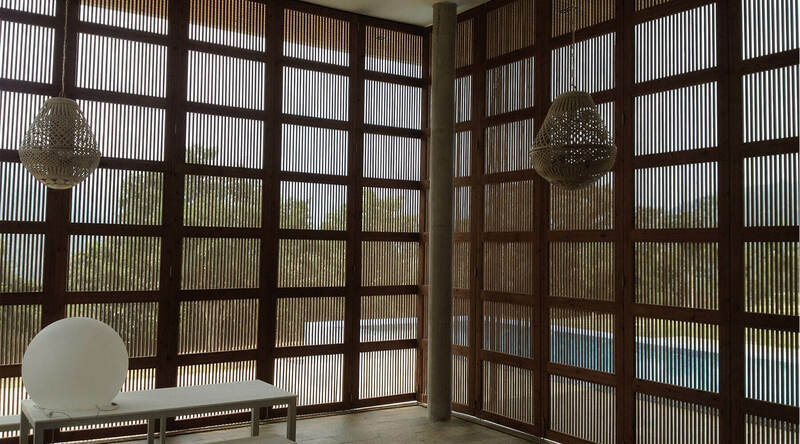 Thermowood solar shades cover the windows, which keeps the interiors cooler and creates a natural and pleasant feeling. 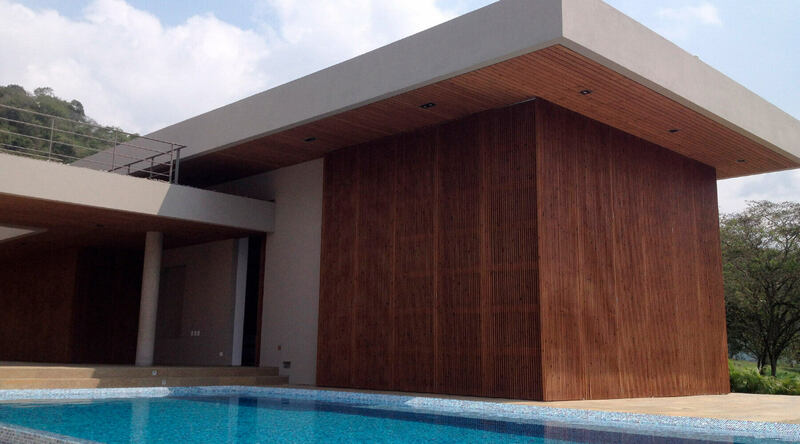 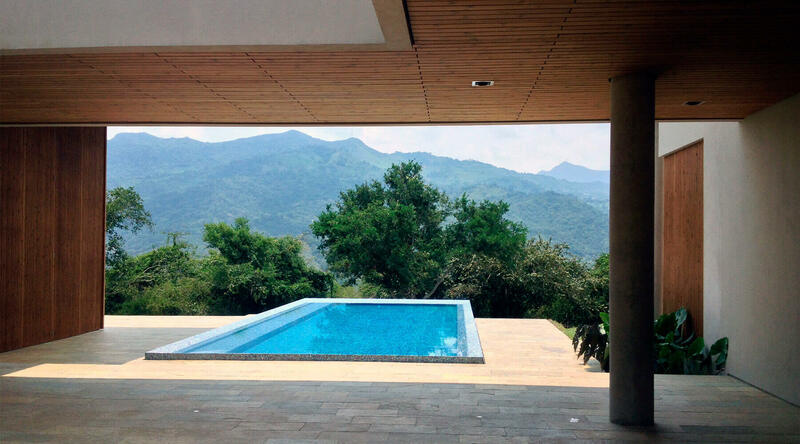 Lunawood is an excellent exterior cladding material for hot and humid climates like Colombia where most wood materials don’t work.